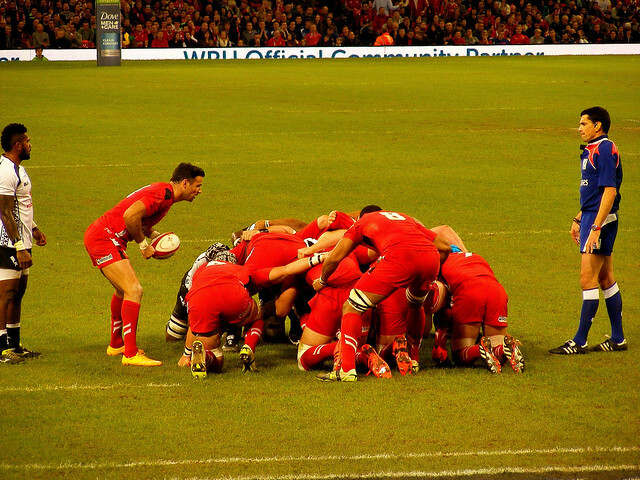 Spencers Solicitors | Has concussion in rugby doubled, or are we just better at diagnosing it? I have blogged previously about the issue of head injury in sport, and so when George North hit the headlines last weekend - after being concussed twice in the match against England - I was concerned that yet another player had suffered serious injury after concussion went seemingly unnoticed during play. However this incident, along with the England Professional Rugby Injury Surveillance Report that recounted a staggering 59% rise in concussions from 2013-14 compared to the previous season, has sparked major debate. In fact, the matter of head injury in sport, and of course especially in rugby, has been under intense scrutiny this week. The IRB [now World Rugby] have recently introduced the Pitch-side Concussion Assessment, or 'the five-minute test'. During a game, a test can be requested by a team doctor or referee if they suspect concussion. A substitute comes to the field whilst the injured player is taken off the field to a medical room to be assessed for head injury symptoms. The player is then asked a series of questions such as 'where are we' and 'who was the last person to score' etc. The player is also subjected to a balance test similar to that used to test drunk drivers. If the player gets one question wrong, has four balance errors and the presence of one of more symptoms of concussion the player is removed from the game, otherwise he is allowed to return to play. The new rules have had a mixed reception with some suggesting that five minutes is nowhere near sufficient to assess the severity of a concussion, whilst others suggest that the new off pitch assessment has resulted in a significant reduction in the number of concussed players returning to the field by 25% so there is evidence that the new system is working. I am pleased to say that in the Wales v England game this pitch-side assessment was put to use. During the first half, George North was removed from play in accordance with the Pitch-Side Assessment and he was off for eight minutes before being allowed to return to play after being hit in the face by the boot of England's Dave Attwood. The assessment procedure was not followed when the next concussive incident occurred in the second half because the incident was not spotted by the Welsh team doctors, or the referee. Following the match further assessments have taken place and the Welsh team have announced that North will miss the game with Scotland on Sunday this week despite showing no signs of concussion during his return to play protocol. The decision has been made because it has transpired that North suffered an earlier concussion in November 2014 and therefore an extended recovery period is felt necessary. It is a reassuring sign that following the incident steps have been taken over and above the current protocols to ensure North is fully rested before he is permitted to return to full match play, however lessons still need to be learned. More instances of concussion, or simply more awareness? I do accept the suggestion within the Surveillance Report mentioned above that, at least in part, the rise can be somewhat accounted for by a better understanding and higher instances of reporting head injuries. It is alarming however that the huge increase suggests there has been potentially significant under reporting, and I suspect further measures will only increase the number of reported cases further. Greater awareness and a change in attitude from grass roots to professional level is required to ensure serious head injuries are avoided wherever possible. Some argue that the current Pitch-Side Assessment protocol is insufficient; critics include Barry O'Driscoll, former IRB medical committee member, who when commenting on Saturday's events said he was of the view that "players are being experimented on", and that player safety was being put in jeopardy by a "refusal to adopt a 'going off and staying off' policy when concussion is suspected". Now that the issue is so brightly in the spotlight, I am hopeful for further improvements for player safety. World Rugby have accepted that their protocols need to improve, and steps are being taken to introduce video replay for home and away matches in the Six Nations. Global intervention is also anticipated, and I suspect further changes will be made to protocols to make it easier for the referee and team doctors to be made aware of potential incidents of concussion. Whilst I am encouraged by the fact that the governing bodies are now taking further steps to protect players at the very top of their game, I hope too that further steps are introduced to ensure that those playing at grass roots level are also afforded the best possible protection in the absence of such luxuries as instant video replay. Have you noticed rugby players are receiving better protection from concussion? Or does the sport still have a long way to go in protecting players at all levels?